Cathryn, the most important thing to consider when grooming Toby is his safety. You want to err on the side of caution when it comes to grooming him. As he ages, his skin will be easier to scratch, so never use scratchy brushes. If they feel scratchy on your arm, they'll feel doubly-so to Toby. This also means no hard-edged metal brushes or "furminator"-style hair removers. The best solution is prevention. You should establish a daily brushing routine to remove excess fur. Many cats enjoy being brushed with a soft brush and you may be surprised just how much loose hair you can remove this way. But before you get to that point, you still need to get rid of those mats, right? While clippers can be safe to use, some cats really dislike the sound. A de-matting tool will allow you to work the mats out quietly, a little at a time. We won't guarantee that Toby will like it, but it will do the trick. Just be gentle and don't pull too hard on Toby's fur. Unlike humans and dogs, a cat's skin isn't attached to muscles so it's easily hurt if the fur gets pulled too hard. As to those brown areas on Toby, those are usually caused by an accumulation of saliva, mucus, tears, or other bodily fluids that are difficult for Toby to groom away. First, try cleaning him gently with a soft, moist washcloth. Don't use any soap. If you repeatedly clean those trouble spots on Toby you should see a steady improvement. They probably won't come clean all at once, but a gentle daily cleaning will eventually do the trick. There are also some good pet wipes on the market that can be used for this purpose, but for our money, a wet washcloth is just as good. 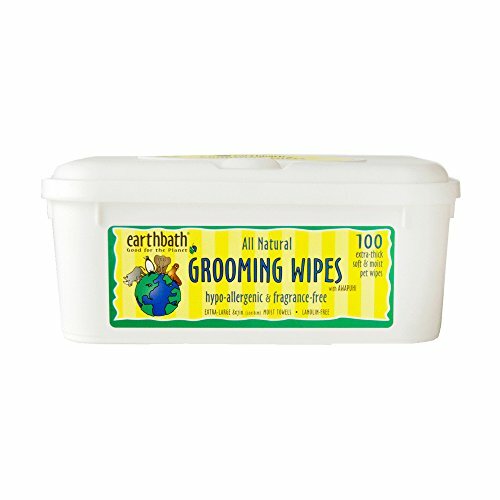 If you choose to try pet wipes, just make sure they're unscented. Be cautious around Toby's eyes. It's usually best to use a small, damp cotton ball for each eye. Using one cotton ball per eye means you won't be spreading any infections if it turns out that that's what's making Toby's eyes water. Cathryn, with a little effort and some gentle care, you'll have Toby back to his beautiful self in no time! Newer PostHelp, Flies are Bothering my Cat! Older PostUp with Cat Butts!